Lucy was rescued from a tree in her back yard after spending the better part of two days in the tree. She was only up about 25 feet but that was too high for her owner's ladder to reach. She is a teeny 6 month old kitten who ran up the tree after being let out into the back yard for the first time. The rescue was quick and uneventful - the best kind! 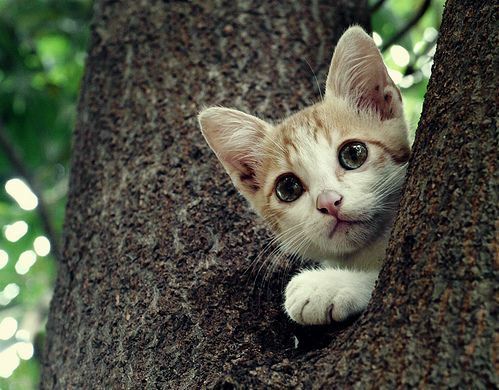 Unfortunately, operator error resulting in no video footage for this rescue so you will just have to imagine the cutest little kitten stuck in a tree.